Published bi-monthly, AJMQ features original, peer-reviewed articles by noted experts in the field and is frequently cited as a literature source in medicine. AJMQ is focused on keeping readers informed of the resources, processes, and perspectives contributing to quality healthcare services. This peer-reviewed journal presents a forum for the exchange of ideas, strategies, and methods in improving the delivery and management of healthcare. 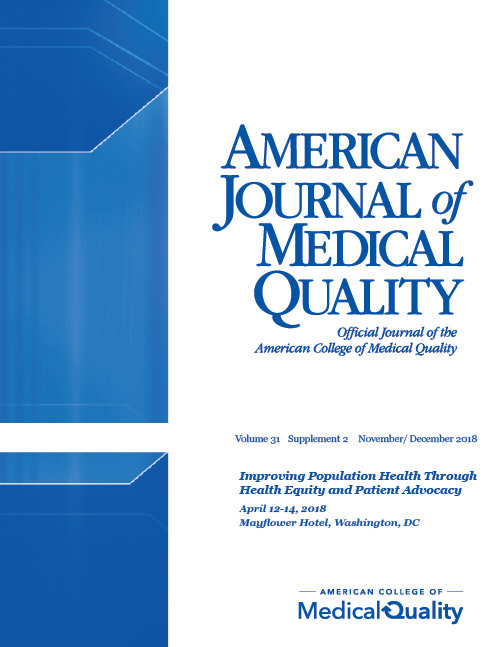 ACMQ members receive online access and paper copies of the Journal as part of their membership. Members, access the AJMQ online. 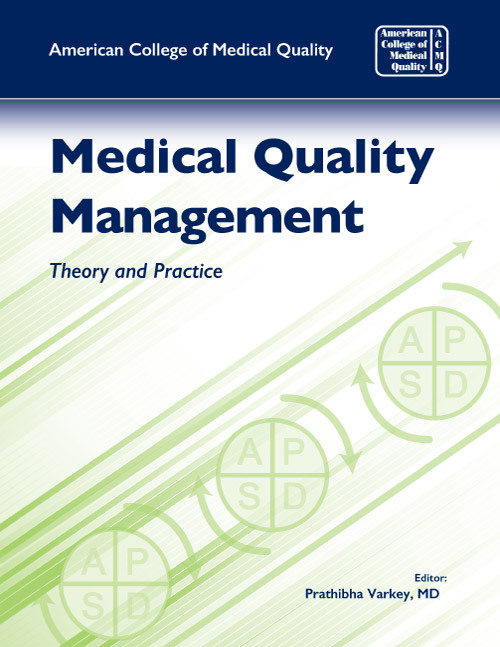 The current edition of Medical Quality Management: Theory and Practice is a comprehensive resource addressing the needs of physicians, medical students, and other healthcare professionals with up to date information about medical quality management. In reviewing the key principles and methods that comprise the current state of medical quality management in U.S. healthcare, this text provides a concise summary of quality improvement, patient safety and quality measurement methodologies. This textbook also describes the current state of global networks and computing technologies, and provides an overview of ethics, legislation, policy making, accreditation and utilization management techniques as it relates to quality improvement, including general approaches and methods, support systems, regulatory constructs, and common outcomes. Complete with case studies, executive summaries, and figures and tables, this is a necessary guide for all executives and medical directors, academicians and students, as well as all physicians and other health professionals in clinical practice. ACMQ's endorsed text, published in February 2009, can be ordered in physical form at J&B Learning, or as a Kindle edition from Amazon.com. Download an outline of the text here. The 3rd Edition of Medical Quality Management: Theory and Practice is expected to be released in early 2019. Below are a collection of links to useful websites, forums and resources for Medical Quality Professionals.